Ohio is well on the road to legalizing medical marijuana, but there is still plenty of work to be done. The road towards a medical marijuana policy is finally being paved in the state of Ohio. The Attorney General, Mike DeWine rejected a ballot summary last month that was submitted by the Ohioans for Medical Marijuana. Their summary needed some amendments, but late last month the Marijuana Policy Project made those amendments and their submission. Mike DeWine has accepted this ballot summary and it’s now with the Ohio Ballot Board. The future looks bright for the sate of Ohio given the predicted amount of voters that are in support, as well as the support of many activists around the country. Ohio could be a medical marijuana friendly state by the end of the year. The plan in the ballot summary includes the opportunity for 15 large scale growing operations, all of which will cost $500,000 in fees for growers to be a part of. It will also include unlimited smaller scale growing operations which also come with fees. The Marijuana Policy Project has included in their summary those medical conditions which will make patients able to use medical marijuana. They include the most severe cases such as cancer, AIDS and PTSD. Doctors will be encouraged to prescribe medical marijuana for those who are suffering from these conditions. The group has also included that medical marijuana should be permitted for an unusual degenerative condition called CTE (chronic traumatic encephalopathy). This condition is common in those who have had a long football career. If this goes ahead, Ohio will be the first state to recognize this as a condition that is treatable with medical marijuana. The first hurdle, and a very important one, was having the ballot summary cleared so that voters would have an opportunity to have their say. Even though this has now been done, there is still much more work to do. In the next 10 days, the Ohio Ballot Board should give an answer as to whether or not this summary is going to be approved. If it is approved, the Marijuana Policy Project will get permission to begin collecting signatures. They will need 306,000 signatures by July in order for this proposal to become a real possibility in the November ballot. Then it will be left up to the voters. However, according to polling from previous years, it seems that the voters of Ohio are extremely supportive of a constitutional medical marijuana policy. The Marijuana Policy Project together with Public Polling collected information earlier this year from over 600 voters in Ohio. Their results showed that up to 7/10 Ohioans were supportive of the change to medical marijuana. 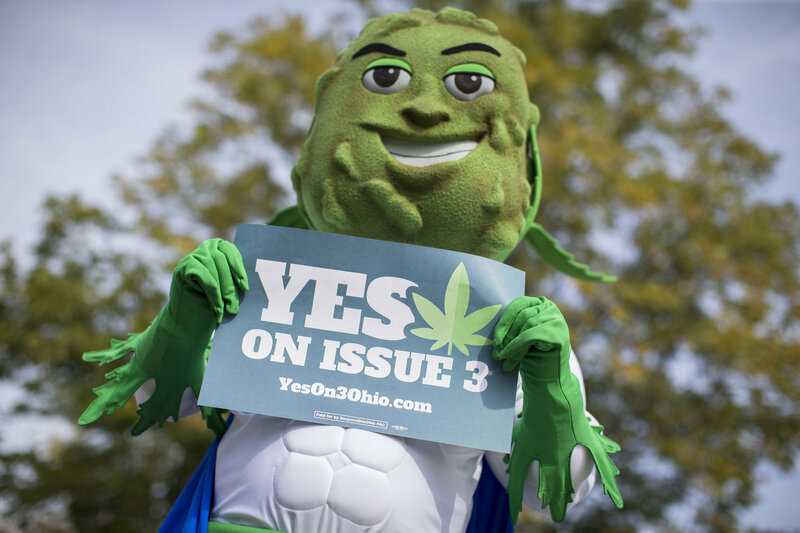 Last year, polls showed results of up to 9/10 Ohioans supporting medical marijuana. There is still a lot of work to be done in order for medical marijuana to become a reality in Ohio, however it looks extremely positive. With the government slowly making its shift towards medical marijuana and with the public also seemingly in support, it seems like a feasible reality that Ohio could be experiencing very shortly. If all goes well, Ohio could have legal medical marijuana by the end of the year! How do you feel Ohio is going on the road to legalization? Let us know your thoughts on our social media or in the comments section below.